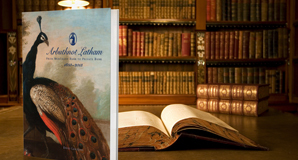 As part of the 180th year celebrations, Arbuthnot Latham published a book 'Arbuthnot Latham. From Merchant Bank to Private Bank (1833-2013)' by David Lascelles. A brief overview of some of the important milestones in the Group's history is outlined below. There is no gold beneath the streets of London. There is no copper or zinc or oil, and much to my disappointment it turns out that we don’t even have any shale gas to frack. 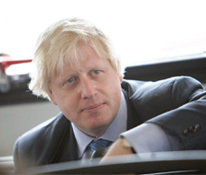 All we have is talent and imagination, and a spirit of enterprise that means London is still the financial and commercial capital of Europe – if not the world – with more people involved in the banking sector here than in New York. The story of London’s rise to global eminence is in many ways the story of Arbuthnot Latham – a bank founded in 1833, and which financed everything from coffee plantations in Ceylon to gold mining in South Africa to banana growers in Jamaica. I am delighted to say that 180 years later the bank is not only alive but flourishing – proof of the resilience of financial services in London. We will always need bankers with drive and imagination – not just to finance banana growing, but the infrastructure we need, the medical and scientific breakthroughs that will improve the fate of our species. no hesitation in commending this excellent book.